Will.I.am’s custom car is on the streets of Hollywood. 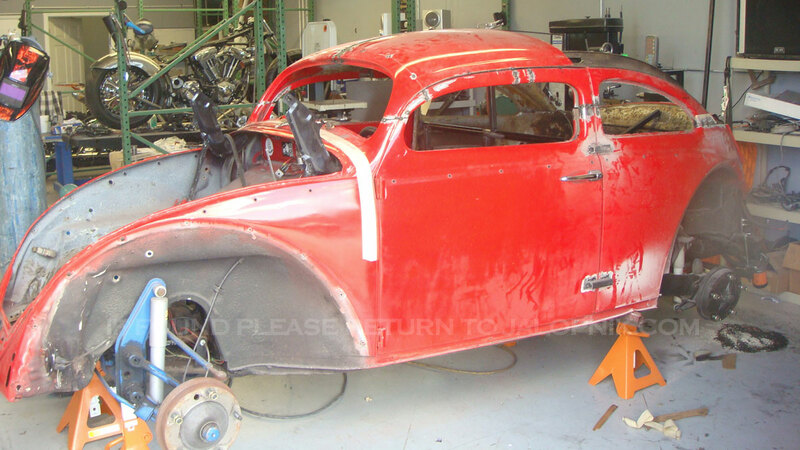 Believe it or not, it is actually a 1958 Volkswagen beetle. The purple car is a new Will.I.am ‘s toy which will strut the streets of film town. Only thing that looks beetle is the front windscreen, the rest was completely custom built first by Austin Weiss of The Garage in Stuart, Florida and then finished off by West Coast Customs of “Pimp my ride fame” in California. The biggest problem the both faced was that Will.I.am didn’t actually know what he wanted. Initially he want a Socal Speedster which was meant to have a Porsche twin turbo flat six in the rear, then something futuristic and crazy with stretched doors and a supercharged V8 Chevy LS3 engine in the front, then to look like a Morgan, then put a Bentley Grill on it, then add suicide doors to it. In 2011, Will said to Austin he needed the car on stage for the 2011 Super Bowl halftime show, to which Austin said it will take another six months to finish because there were so many things to be sorted out. 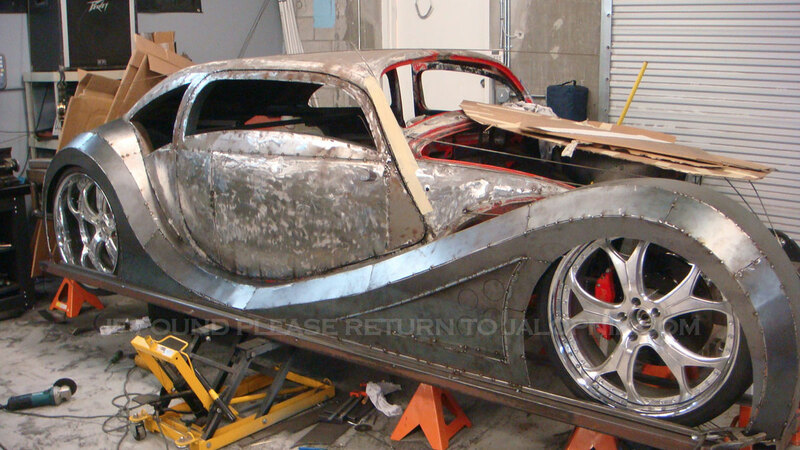 After six weeks the car wasn’t ready, so Will took the car and gave it to West Coast Customs, who said they could have done the job from start to finish in eight months. The car was there for a few months, then a few months, more than a few months more. In the end it spent two years at WCC because so much work was needed and, yes you guessed it, Will kept changing his mind. Will has spent $900,000 on the car so far. His previous car was a customised DeLorean, which cost hi about $700,000.